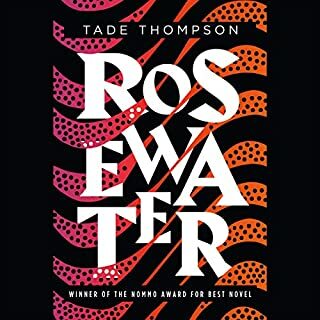 Rosewater is a town on the edge. A community formed around the edges of a mysterious alien biodome, its residents comprise the hopeful, the hungry, and the helpless - people eager for a glimpse inside the dome or a taste of its rumored healing powers. Kaaro is a government agent with a criminal past. He has seen inside the biodome and doesn't care to again - but when something begins killing off others like himself, Kaaro must defy his masters to search for an answer, facing his dark history and coming to a realization about a horrifying future. In the ancient city-state of Gujaareh, peace is the only law. Upon its rooftops and amongst the shadows of its cobbled streets wait the Gatherers - the keepers of this peace. Priests of the dream-goddess, their duty is to harvest the magic of the sleeping mind and use it to heal, soothe . . . and kill those judged corrupt. 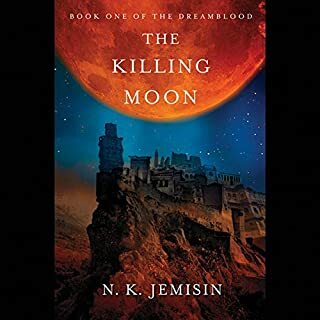 But when a conspiracy blooms within Gujaareh's great temple, Ehiru - the most famous of the city's Gatherers - must question everything he knows. When a dying boy is pulled from the river with a mark crudely tattooed on his shoulder, hangman Jakob Kuisl is called upon to investigate whether witchcraft is at play in his small Bavarian town. When more children disappear and an orphan is found dead with the same mark, the mounting hysteria threatens to erupt. Before the unrest forces him to torture and execute the woman who aided in the birth of his children, Jakob must unravel the truth. Three strangers, each isolated by his or her own problems: Adaora, the marine biologist. Anthony, the rapper famous throughout Africa. Agu, the troubled soldier. Wandering Bar Beach in Lagos, Nigeria's legendary mega-city, they're more alone than they've ever been before. But when something like a meteorite plunges into the ocean and a tidal wave overcomes them, these three people will find themselves bound together in ways they could never imagine. Doug and Judy have both had a secret power all their life. Judy can see every possible future, branching out from each moment like infinite trees. Doug can also see the future, but for him, it's a single, locked-in, inexorable sequence of foreordained events. They can't both be right, but over and over again, they are. Obviously these are the last two people in the world who should date. So, naturally, they do. Winner of the Hugo Award and the Nebula Award for Best Novella! Knowledge comes at a cost, one that Binti is willing to pay, but her journey will not be easy. The world she seeks to enter has long warred with the Meduse, an alien race that has become the stuff of nightmares. Oomza University has wronged the Meduse, and Binti's stellar travel will bring her within their deadly reach. If Binti hopes to survive the legacy of a war not of her making, she will need both the the gifts of her people and the wisdom enshrined within the University, itself — but first she has to make it there, alive. Firstly, it's always great to read stories about people of color in scifi and fantasy. We do exist in the future. 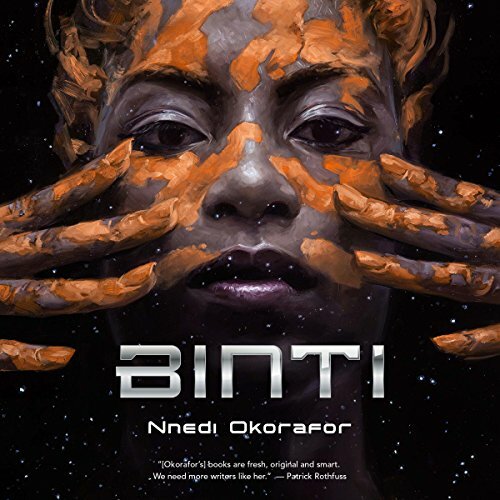 Binti was unsurprisingly inventive and well written, as this is written by Nnedi O. My favorite bit tho is that this simple tale is so chock full of potential lessons and messages. For this alone it is worth every minute it takes to complete. A great novella, well-deserving of the Nebula Award it won. Binti is a neat glimpse into a sci-fi future where individual culture is still present. I look forward to reading what comes next. Loved listening just wish it was a longer story. Robin Miles did a perfect job narrorating. had a hard time understanding many of the read words because of the very heavy accent. It started out with an interesting premise but it quickly went nowhere. I was disappointed it didn't pan out. I lost interest and couldn't wait for it to end. it moved a little slow. The species names and stuff was a little confusing. I liked the underlying messages of appreciating diversity. 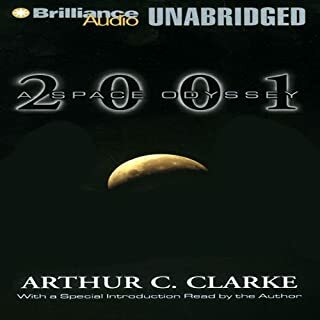 I was very excited about listening to this book as I have enjoyed listening to Robin Miles's voice and this was a super hyped science fiction book. In truth, this book wasn't bad but didn't live up to the hype. Some parts seem to be slightly rushed and not as well explained as I would have liked. One example of such instances, is why and how Binti developed a close relationship with Okwu. It seemed to be because her gift for healing but it could also be that he took her food and water everyday. I'm still not fully sure, so I'll go for a mix of both. Also, I didn't care for the thick accent that Ms. Miles did for this book. As someone who is hearing impaired it was very difficult to understand her at times. Even a friend who I buddy listened to this book with couldn't understand it and they have great hearing. It is possible to understand her but beware that it might not be as easy as it is for other books. It started out really well and had so much potential for several sub storylines. I feel like this could have been so much more, but the writer wasn’t interested in developing the story into something bigger. The end came far to quickly and once you knew the end was near, the story became very predictable. Great writing though. I’d definitely continue with the serious. A decent story, different, though not terribly engaging. Very short, so definitively not worth picking up unless on sale. The narrators soft pronounciation seems perfect for such an uplifting and positive story. My only complaint might be that it is quite short, but that can be a positive as well. I'm glad I picked it up. Even though the start was quite unusual for me, bringing very traditional cultural elements together with sci-fi, I kept wanting to know what would happen. Could have given a bit more description with certain items and situations as I often found having to go back to make sure I understood what was happening. Good ending, will listen to the next book for sure. Thue is excellent Science Fiction from a new perspective. It is impossible not to love Binti. Both characters and world seems real. Great work by the narrator! Hugo and Nebula award-winning Afrofuturism. What a joy it was to read this book which blended African culture and science fiction. The story is rich and well defined. The characters, especially Binti, believeable. I particularly liked the unusual tech in this future vision, including biological spaceships. The narrator, Robin Miles, is superb. Her performance covers so many emotions. I cannot wait to dig deeper into the rest of the series. Where does Binti rank among all the audiobooks you’ve listened to so far? I enjoyed every minute but desperately want more, both of Binti's future experiences and background detail of the universe. Looking forward for the next chapter! This was a truly enjoyable experience! 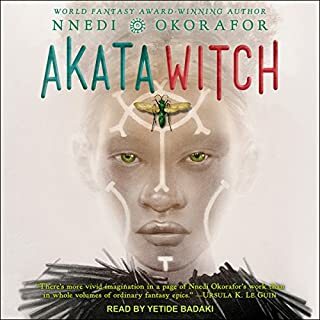 The narrator's voice was lovely and very suited to the story of Binti, our brave little Himba adventurer and ambassador to a previouly dredded alien race. The world building for this story is sublime & the prose is vivid with details of a future in which we travel the universe in living ships(!!) and there were such beautiful turns of phrases throughout! 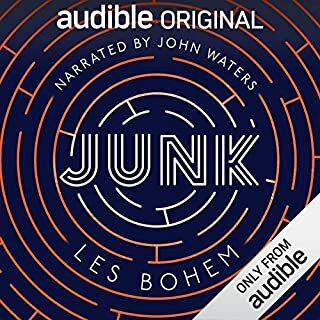 This is definitely recommended listening and reading! 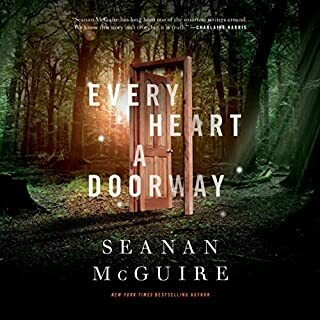 I expected more but it was still very entertaining what I will say is the plot switches from peaceful to frantic very quickly and you need to be fully consumed in the story to feel the full effect of the mood change.